Writers Horoscope August 18: Your standards will be tested today. Newspaper’s…store sign’s…blog post’s…everywere you look, you see typographical error’s, subject-verb disagreement’s, and multiple misuse’s of the apostrophe. What to do? Cease and desist reading hard or Web copy? Or just shrug and forge ahead, secure with the guiding light of Warriner’s English Grammar and Composition rules. **Count the number of errors in the bold text and let me know in the comments how many you’ve detected. If you’re really intense, copy/paste the text in the comment box and paste in little dagger emojis next to the errors. Writers Horoscope August 16: Expect to encounter frustration. It’s how you deal with it that counts. In other words, don’t blame the tools. Writers Horoscope August 15: Don’t take your challenges lying down. Writers Horoscope August 14: You overestimate your mental capabilities. Enough with the multitasking already! It doesn’t even exist. And what you are doing (current terminology: context switching) is stealing brainpower. Writers Horoscope August 13: Sharing your work has its limits. There’s a not-so-fine line between publishing and defacing. Besides, ink-on-wall is so limiting…so 20th century. Today, join the digital age. Writers Horoscope August 12: Today, take a second look at your [w]rituals. 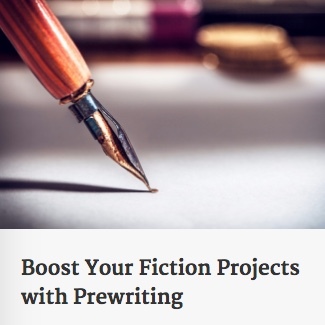 It’s possible you’re losing sight of your writing goals. Take a deep breath…that’s it…now put down the compass. The only sharp object you should be working with is a medium point Bic. Writers Horoscope August 10: A change of scenery is in order. Face it–waking up to a sea of pixels and liquid crystals is hardly a warm, embracing welcome to your creative urges**. **Ever notice that ‘urges’ is easily rearranged to spell ‘surge’? I mean, really, isn’t that cosmic? A surge of urges………eeew-ick, an innocent four-word phrase and we’re thrust into 50 Shades territory…thrust……okay, we’re done here. Writers Horoscope August 9: Choose optimism today. Rejection slips? Hey, someone [or at least someTHING] considers you among the living. Your characters running amok? They might have a firmer grasp of the real story than you do. The critique group finding hidden meaning in your work where none was intended? At least they’re reading it. And at least your words have meaning.